When it comes to life-threatening infections, tetanus may certainly be mentioned as well. Extremely dangerous if not treated by a vaccine, this bacteria-caused infection destroys muscle mass and one's nervous system eventually causing death. One gets infected when the bacteria gets inside his or her immune system. This usually takes place through a wound of sorts. A small pierced spot presents a more than adequate entrance for the tetanus bacteria, so any given wound presents a danger unless one is vaccinated against it. To make things worse, the incubation period lasts for more than 20 days and one may neglect and even forget the tiny wound allowing tetanus to freely destruct his body. Namely, tetanus vaccine needs to be taken more than once throughout life. Five shots are necessary to have a complete immunity to tetanus during our lifetime. The vaccine itself is a combination of the polio, flue and some other vaccines. What it does is stimulating the production of antibodies in our system, preventing and fighting the tetanus bacteria. That is why the importance of one's immunization cannot be stressed enough since it is simply crucial in order to be provide one's adequate protection. Those who were born before 1961 have not been vaccinated timely since only after this year has the immunization program been introduced. Thus, those adults born beforehand, should consider taking tetanus shots as soon as possible. When Does One Need A Shot? First of all, you should seek medical advice every time you get cut, bitten or wounded in a similar manner. Moreover, the vaccine is a must if you have not taken it and maintained taking it during life. 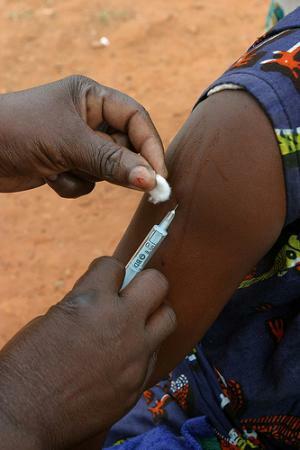 However, if you are following the course of immunization and receive shots regularly and timely, you need not worry. Nevertheless, contact the doctor if the circumstances under which you were hurt may lead to any infections. In case you decide to travel abroad, especially if you are visiting countries with poor or no medical service, make sure you are maintaining your immunization process and have either received all five shots or have not waited more than 10 years between them. It is better to be sure and protected, than to leave way for any life-threatening infections such as tetanus somewhere where you might not be able to get the adequate treatment. Minor swelling and irritation around the spot where you had taken your shot is a normal reaction. Additionally, you might feel dizzy or have a mild headache during the day of immunization. Fever and fatigue are the worst case scenarios, although not dangerous at all. Finally, those who suffer from some illnesses, as well as those who had severe negative reactions to the previous vaccines should consult with their doctor before taking the shot. Is there a cure for tetanus? How the Immune System Works? What Are The Real Chances Of Finding Cure For HIV? Is a poliomyelitis vaccine a standard procedure for all?